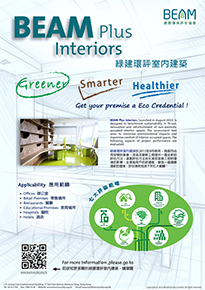 Green buildings use less energy and reduce water and material usages than conventional buildings which in turn limit greenhouse gas emissions. The aim of the BEAM Plus assessment is to reduce the environmental impact of buildings while maintaining and, in fact in many areas, even improving quality of the built environment and users’ satisfaction by adopting the best techniques, practices, and standards compatible with prevailing economic constraints. 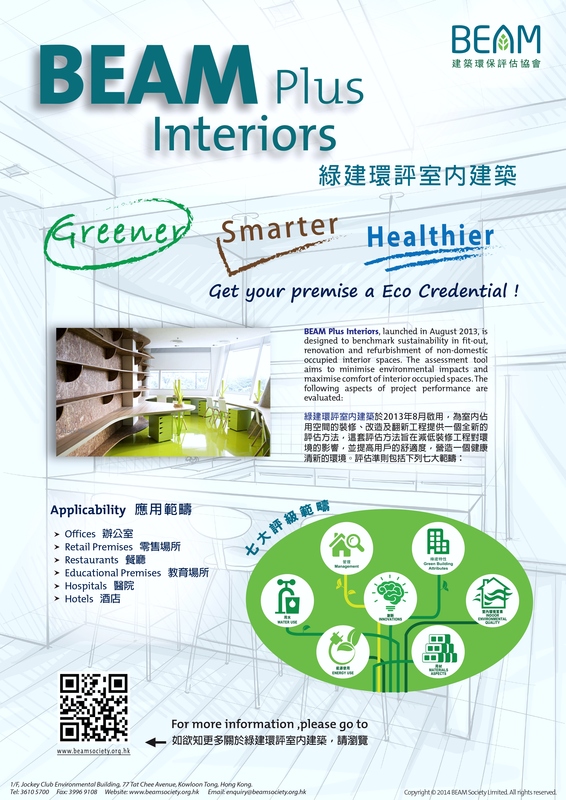 (ii) accommodating different building age, building types and encouraging owners' involvement in the EB tools. 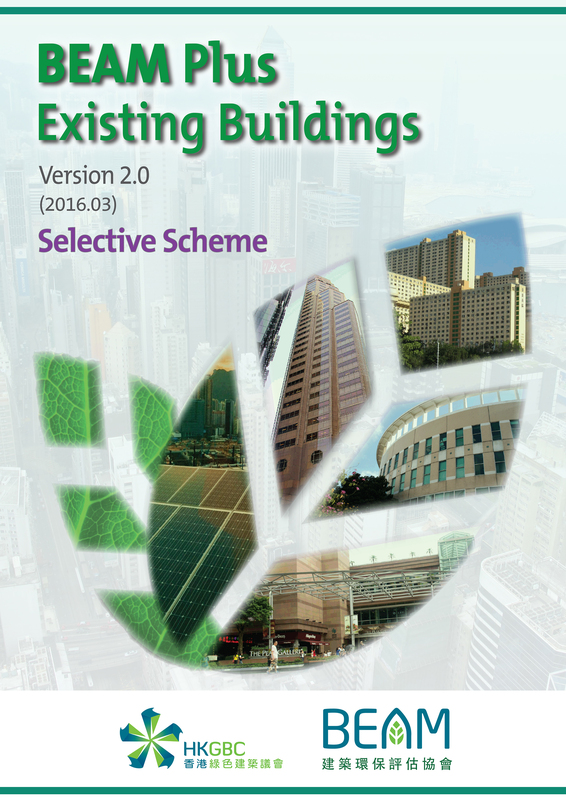 This enhanced version addresses issues from stakeholders for passive design, and includes minor amendments to other aspects. 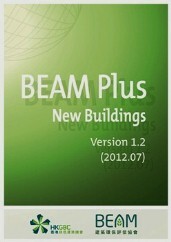 The Energy Use (EU) Aspect of BEAM Plus Version 1.2 provides two alternative routes for building assessment. New Building projects will engage two-stage assessment process (i) Provisional Assessment (PA) and (ii) Final Assessment (FA); Existing Building project is only required to go through Final Assessment or both, while BEAM Plus Interior is only a one-stage process. In the event of a designated public holiday of more than three (3) consecutive days (including Saturday and Sunday), the cut-off time for submission of BEAM Plus Assessment materials will be 12:00 noon on the day prior to the last working day before the designated public holiday. Submission thereafter will be taken as received at 9:00 am immediately after the designated holiday. *This software has been a popular tool used for BEAM assessment. With the kind consent of EMSD, we can make it available at the above address for those who have yet to download the software. As the software and its database was developed for several years and is now provided solely out of goodwill, EMSD and BSL shall, under no circumstances, be responsible for any information accuracy, direct, indirect, consequential or special loss or damage arising out of the use of given LCEA software.